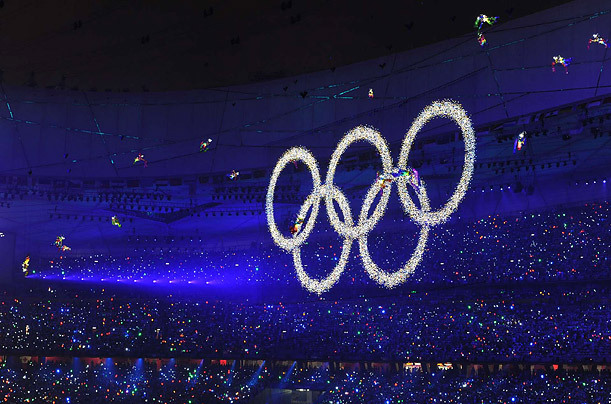 Olympics is the biggest sports event held at random places around the world after every four years. Formally this event started from Athens in 1896, although the history of such games and competitions range back to hundred's of years to the ancient times. As the games promote healthy activities and create harmony and friendliness among the playing countries, now the olympics event is divided into new sub-categories like winter games, paralympics (for partially disabled players), youth games etc, these events take place after the main event after the main event with some gap, creating so many events caters to the majority of the people around the world to promote sports and also generate some revenue. Although the games played in an olympic event is huge, few of them include; boxing, swimming, cycling, athletics, badminton, basketball and volleyball etc just to name a few. Olympics involve huge sporting activity, tourism and immense business both for the hosting country and city. Not only the authorities generate big amounts of revenues, the local companies also cash in. The food industry, hotels, clothing and tourism all get a boost, overall economic activity get a boom. Moreover, the hosting country and city gets a global recognition and promotion that is also positive for attractive new businesses and investments to that place. This is one of the reasons why a lot of countries lobby and try their best to get a chance to host this event. The next venue is decided by voting among the member countries or by drawing randomly, as soon as the venue is announced, preparations and developments start and nowadays the hosting city is converted and declared into olympics city and huge projects start to create related facilities including, stadiums, atriums, courts, water sports arena and infrastructure on a large scale including roads, apartments for players and officials and many other related facilities. Although, the hosting costs are very high too still the overall hype and economic activity make hosting worth it. Other than the revenue and business generated on ground, the television, radio, internet and other media broadcasting rights of the games are sold for millions of dollars around the world, as majority of the countries around the world take part in olympics, broadcasting rights are sold to all parts of the world and the opening/closing ceremonies is watched by millions of people around the globe, this make it even bigger revenue generation source. The obvious advantages include the gathering of international players from around the world at one place, this promotes cultural harmony, healthy competition and players get global exposure and honor of representing their countries. Secondly, these games and healthy competitions promote sportsman spirit, designation and recognition for the winners, the loosing players also get a huge exposure and experience. Thirdly, an event of such a magnitude helps to eliminate hatred and bridge the global gaps by bringing people and countries closer. Last but not the least the audience enjoy the games and get rid of everyday stress. The only major disadvantage i analysed is the huge hosting and development cost that is covered during and after the event. Second disadvantage is the relocation of population from the event area, due to security reasons also due to the development of olympic city projects, i think it is unethical to move people on a mass level just to arrange for a sports event. An event planner is usually aware of the clients' requirements. Experienced planners will suggest you the most suitable venue for your corporate events. They will guarantee the meal is of top quality, and make sure adequate amount of food is available for the guests.